I had the pleasure of meeting Dr. Kentaro Toyama back in February 2018 when he visited our campus for an engaging seminar on the role of technology in addressing social problems. Dr. Toyama is the W.K. 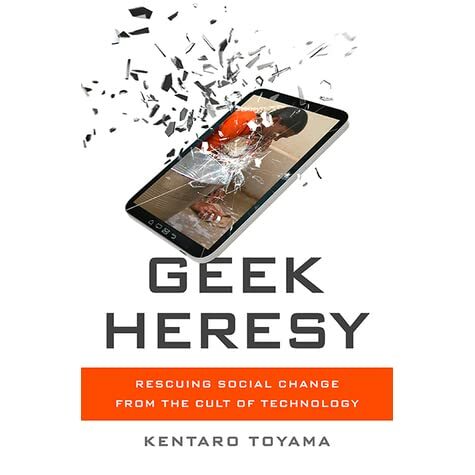 Kellogg Associate Professor of Community Information at the University of Michigan, and his 2015 book, Geek Heresy, articulates what I consider “hard won” insight into the role of technology in society and, more specifically, how technology impacts social change. Toyama began his career as a computer scientist working for Microsoft in their research division. If you have ever enjoyed the Kinect accessory in Microsoft’s XBox—the stereo imaging system that converts a player’s motion into real-time video game inputs—you are at least tangentially familiar with some of Toyama’s early research that led to the development of Kinect. Ultimately, though, Toyama found this work unfulfilling and a far cry from the idealism of his youth that had drawn him to the sciences in the first place. His original goal was to help solve the energy crisis. In 2004, after seven years of serving the world’s “gadget lovers,” Toyama was offered a position in a new research facility that Microsoft was launching in India. The goal of this new research lab resonated with him: how might electronic technologies contribute to social causes in the developing world? This is probably a good point for me to disclose some of my own Luddite tendencies. Particularly when it comes to solving problems in places that haven’t yet experienced our level of industrialization. I still have vivid memories from the year 2000, when I was teaching in a government secondary school in Musoma, Tanzania, of an attempt to share the wonders of modern technology with our school’s secretary. I was given a barely functional Apple laptop by local development workers from Sweden who had recently upgraded. In addition to weighing over seven pounds, charging the battery involved electrical tape and two bare-ended wires plugged into a 220V outlet. For some reason, it only worked on battery, which probably explains why our Swedish friends were ready to let it go. But I was convinced that this little laptop had the potential to transform the overall efficiency of the school’s main office. 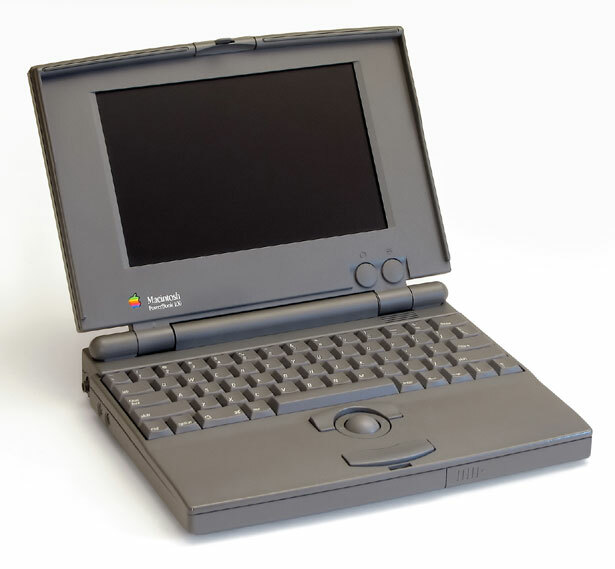 Not necessarily that laptop… but my basic logic was that once everyone could experience the potential for improving efficiency around the office with digital technology, we would then be poised to have a bigger conversation about fundraising for computers and training the staff. When your only competition is a manual typewriter, the bar for achieving quantum leaps in improving overall efficiency feels rather low. As you might have guessed, though, nothing close to transformative occurred. Without a printer, ink cartridges, reliable electricity, or a safe way to plug it in, the laptop was little more than a novelty. Part One of Toyama’s book is filled with countless examples that run in a similar vein. From the famed “One Laptop per Child” program that came out of MIT to Mohamed Yunus’s ventures in microcredit that earned him a Noble Prize, the past two decades are littered with technical “quick-fixes” that ultimately failed to deliver the positive social outcomes that were originally promised. Many of Toyama’s own projects in the Microsoft lab seemed to work under controlled conditions. But when the time came to scale-up and begin generating measurable impacts, most ideas seemed to fizzle. Measurement over meaning: Value only that which can be counted. Quantity over quality: Do only those things that affect millions of people. Ultimate goals over root causes: Focus narrowly on the end goal to ensure success. Destinationism over path dependency: Ignore history and context, and take a single hop to the destination. External over internal: Do not expect people to change; instead, focus exclusively on their external circumstances. Innovation over tried-and-true: Never do anything that has been done before, at least not without new branding. Value neutrality over value engagement: Bypass values and ethics by pretending to value neutrality. Individualism over collectivism: Let competition lead to efficiency; avoid cooperation, which breeds complacency and corruption. Any inhibition of individual expression, including compromise to support the common good, is the same as oppression. Freedom over responsibility: Encourage more choices; discourage discernment in choosing. Any temperance of liberty, including encouragement of responsibility, is tantamount to tyranny. If someone asked me to describe the theoretical underpinnings of vocation, perhaps the easiest thing to do would be to take each item in this list and state its inverse. Toyoma does point out that these so-called commandments are an exaggeration—but only by a little bit. What I appreciated most throughout the book, though, is Toyama’s insistence that technology itself is neither good nor bad. It is the “heart, mind, and will” behind its use that determines whether the fruits of technology will nourish community or diminish it. I couldn’t begin to describe “deep learning” from an AI perspective. Seriously… I have no idea what it means and the 5 minutes I spent reading Wikipedia about it yielded nothing worth sharing. I do hope, however, that these researchers get a chance to read Toyama’s book. I hope everyone does! Thanks for the follow-up, David. I have to credit Hannah for locating that video! I was just impressed by how quickly he was able to get his point across in that incredibly short interview. Maybe it made sense to me because I had spent so much time trying to digest his book. Thanks, Jeff, for this fine analysis. I hope it is read widely! I also hope that people follow the link to the interview on YouTube, as Toyama’s comments there are worth our attention as well. One of the interviewers notes that, ultimately, this perspective is an argument for good teachers. Toyama responds: “Absolutely. . . . There’s just no way around good adult guidance for learning.” This is an important reminder for NetVUE institutions as they think about what will make the biggest difference in the lives of their students.